Payment processing c an be handled in a variety of different methods. Offering merchant account flexibility, VTS allows you to process through ePaymentAmerica, or through your own processor (with a compatible gateway). VTS is a subsidiary company of ePaymentAmerica, a full-service merchant service operation. Through ePaymentAmerica, you have access to the lowest rates in nation, free next-day funding, PCI & EMV compliance, and 24/7 Customer & Tech Support. 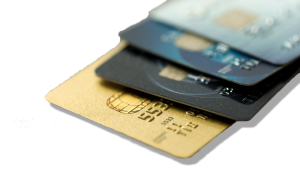 Our wholesale processing status in the Payment Card Industry, coupled with our in-house services, allows us to be more cost-effective for our customers. We guarantee an minimum of 10% savings over any of our competitors. There are unlimited rate codes you can set up and apply to different types of customers with our ticketing software. You can assign them payment terms: cash, check, credit card, or invoiced. Once the customer is identified, the system automatically handles the rate codes and how they need to pay. Once the money is received, our ticket management system automatically distributes it to the proper general ledger accounts. Each ticket teller closes out their banks daily. Normally, cash is balanced daily and sales are closed out monthly. Every penny is accounted for in our system with audit trails/reports and any changes made are posted in red. With so many options, it’s easy to see why our event ticketing software is so popular! Enjoy the convenience of our accounting program and start reaping the benefits today. Click here to learn more about the #1 credit-card processor in the nation, ePaymentAmerica.